Yes, you can have dinner ready in 10 minutes. This is honestly one of the simplest dishes I've ever made and perfect for a weeknight meal. The combination of lime and honey and soy work so well to balance each other out. With only a handful of ingredients, the Asian fusion marinade is clean and fresh tasting—perfect for fish or chicken. While the fish is roasting, steam some greens and cook some couscous to go along side. And if you have a bit more time to spare, make some steamed rice in place of the couscous. Preheat oven to 400˚F. Whisk together lime juice, lime zest, honey, soy sauce, and if using, cilantro and ginger, in a small bowl; set aside. Cover a baking sheet with aluminum sheet. 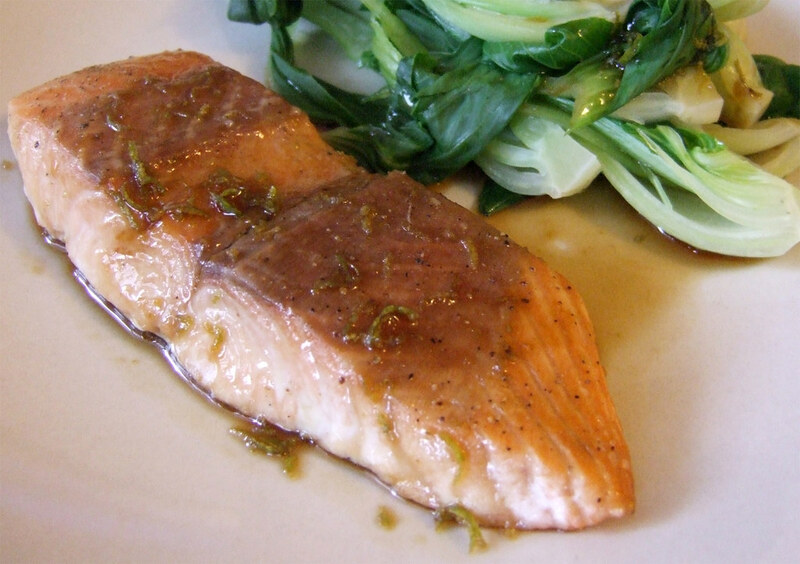 Place salmon fillets on the sheet and season with salt and pepper. 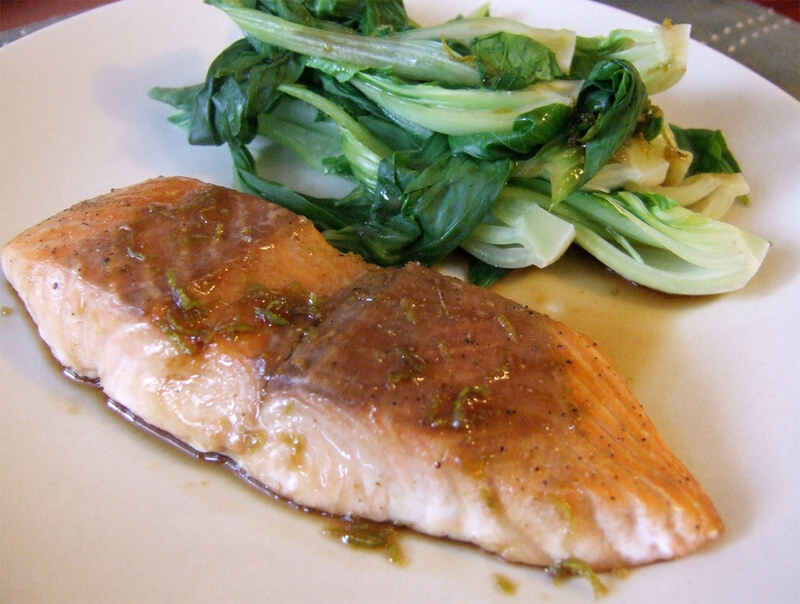 Spoon 1 to 2 tablespoons of the lime mixture over each salmon fillet. Bake in the oven until just opaque in the centre, about 8 minutes. Serve immediately with steamed vegetables and couscous or rice. Drizzle remaining lime mixture over fish and couscous/rice. Enjoy! Posted by Bonita at 9:54 p.m.
jenisnape May 10, 2010 at 2:25 p.m.